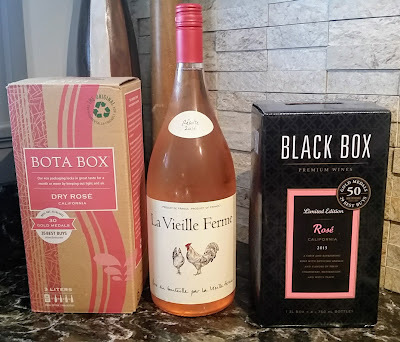 The Naked Vine: Wine Advice for the Rest of Us.™: Bourbon Barrel-Aged Wine -- Does the Wood Make it Good? Bourbon Barrel-Aged Wine -- Does the Wood Make it Good? Fall, finally! Cooler nights, bigger foods, darker drinks. Once the weather starts to turn away from heat, I tend to turn my sights back towards both bigger red wines and brown liquors. Outside of Derby, bourbon’s largely a winter drink for me. Red wine’s year round, of course, but my red rack’s generally filled with lighter stuff during the summertime. What happens, though, when a winemaker decides to put wine and bourbon together? Over the last four or five years, I’ve seen a few wines marketed as “bourbon barrel aged” popping up. Many red wines are barrel-aged. What’s the difference with aging wine in a bourbon barrel? Barrel aging is an important stage in the life cycle of many wines, both red and white. When a wine spends time in a barrel, the juice seeps into the wood, extracting chemical compounds that mix with and change the flavor of the wine within. For white wines like Chardonnay, the “oaky” flavor often comes from contact with wood in barrels. For reds, barrel aging adds a depth of flavor and boosts the tannin level. Reading the description of many wines – you’ll see wines aged in French, American, or Hungarian oak most commonly. The interior of these casks are usually “toasted” to some degree. The more toasting, the stronger the oaky flavor. Bourbon barrels, taller and thinner than most wine casks, as well as more heavily toasted, could potentially add a boatload of flavor. Even after being used, a barrel can still impart distinct flavors to whatever’s stored inside it. Finding old bourbon barrels sounds like a difficult step, but, according to the legal rules governing distillation in the U.S., Bourbon can only be aged in a new cask. After that, the barrels have long been sold to distillers making whiskeys and other spirits – and sometimes beer makers. The recent “Bourbon Boom” has, naturally, added a great number of additional barrels to the market, and some winemakers have jumped at the opportunity to ride that particular wave of popularity. I recently had the chance to try two bourbon barrel aged wines: 1000 Stories 2016 California Bourbon Barrel Aged Zinfandel and 1000 Stories 2016 Gold Rush Red (both $16-20). The former is a blend of Zinfandel from Lodi and Paso Robles, with a touch of Petit Sirah juice sourced from Lake County. The latter is a field blend largely of Cabernet Sauvignon, Syrah, and Zinfandel. 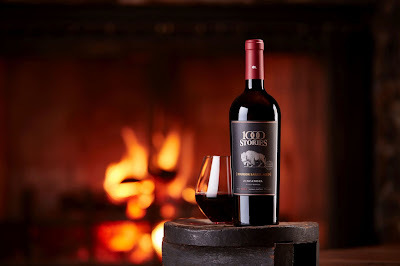 The winemaker, Bob Blue, states that it was rare to see wine aged in French Oak when he started learning his craft, and most American oak barrels were used for whiskey. Over the years, using these barrels has become more commonplace – and now Blue uses used bourbon barrels as a flavoring method. In any case, both wines start out in standard American and French Oak barrels before being racked into used white oak Bourbon barrels. After a period of months, the wine is finished in older (some apparently 13 years old) Bourbon barrels. Both these wines can use a little taming. The Zinfandel clocks in at 15.7% ABV, while the Gold Rush comes in at around 15%. If you pop and pour, you’re going to get a snootful of alcohol before you really get to any of the flavors. I’d suggest, at the very least, you either decant thoroughly or let it have at least half-an-hour’s worth of air after you crack it. In both cases, the toasted vanilla and crème brulee flavors that are common in bourbon do find their way into the wine. 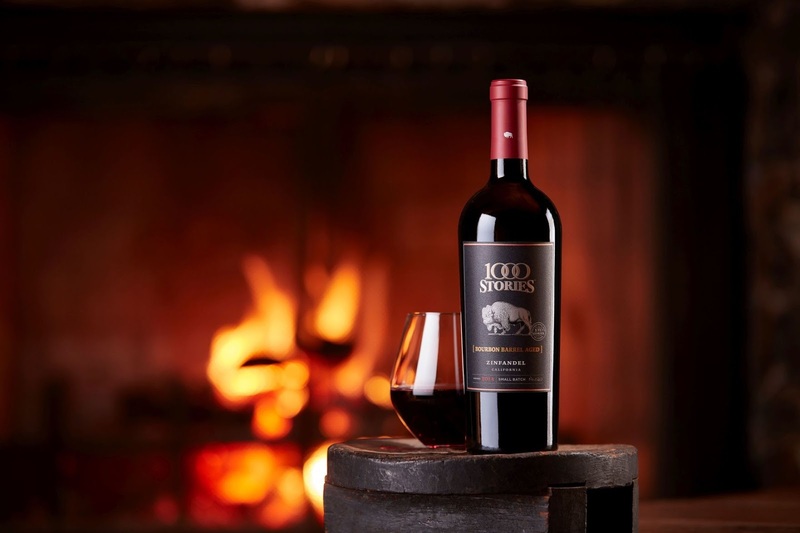 The nose of the Zin has a bit of that smokiness in the background, on top of dark fruit and some fairly interesting notes of spice like nutmeg. On the palate, this is a big, honking glass of vanilla, spice, smoke, and considerable alcohol. Once it opens up, plum and sage flavors pop their heads out of the mix and the alcohol recedes a bit. The finish is long, dry, and smoky – the various oak instillings lending pepper and a tooth-staining level of tannin. The Gold Rush red is more straightforward. It’s a big ol’ bomb of intense dark fruits, especially plums and dark cherries. There’s a spicy, leathery backbone to this wine – along with a long, tannic finish. I found it to be much more straightforward than the Zin. Either wine would be workable with some sort of barbecued meat, big cheeses, or dark chocolate. To be honest, though – I don’t see how much of a difference, other than a slightly sharper oak flavor, that the bourbon barrels actually make with this wine over standard barrel aging. It’s an interesting marketing idea, especially if you’re interested in conversation with whiskey aficionados or Kentucky fans. But keep an eye on the price. These wines both seem a little more pricey than they should be, considering the competition. See what you think.